Are we all too immature to be president? 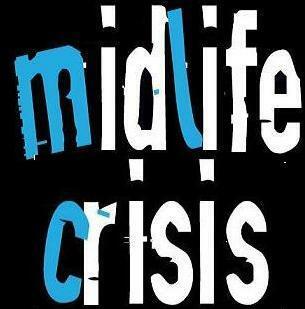 Welcome to Midlife Crisis, a new magazine-style column of a very real account of being over forty and sliding into a midlife mud pool. 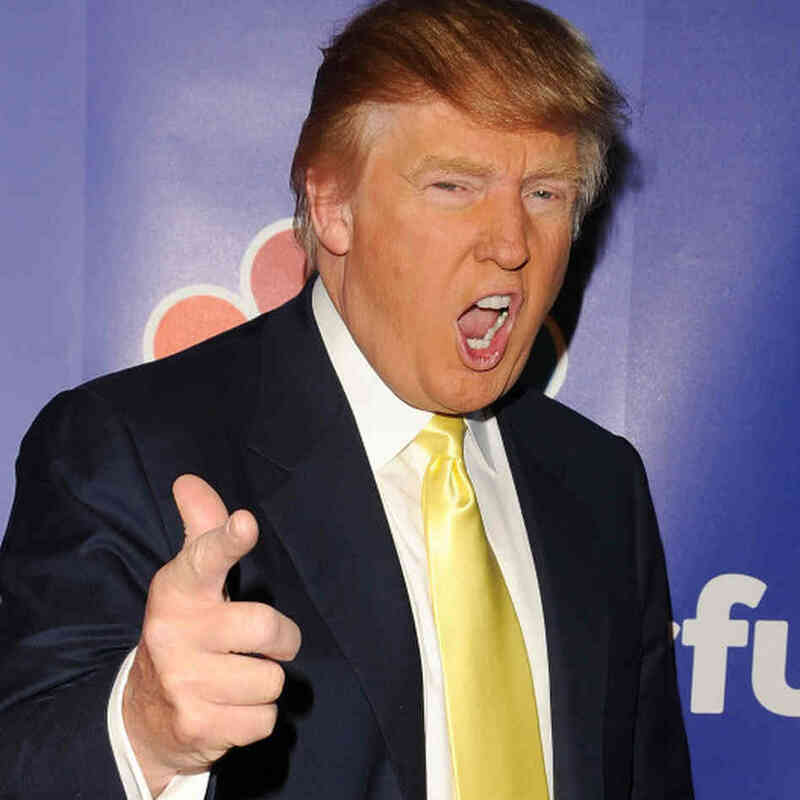 Donald Trump has been told that he needs to be ‘more mature’ to be USA President. Yep, amidst a long running feud with Fox News, Trump was asked what he thought about criticisms that not only did he need to be more, ‘kind and mature,’ but that Trump did not, in fact, behave in a presidential manner. Donald Trump: yes, this man wants to be USA president. Really. moved house and it feels so grown up, the largeness of the place, the tree-lined garden, the ‘needs a lot of work doing to it’ plot it presides on. And yet I still can’t wait to meet up with friends and stay up till late singing to our dodgy karaoke machine. Ok, sure, come the next (two) days, we suffer more – headaches, aching limbs, slow, pulsing burning behind the eyes, but hey, we’re cool, right? Right..? With Donald Trump, his whole unsuitability to become President of the USA (God forbid. Please no, America, NO) is less to do with his apparent immaturity and more to do with him being, quite frankly, a total idiot. Basically, the man’s not a very kind or thoughtful person. This week my column for the Gloucestershire Gazette is about the recently announced booming of Iraq by USA and UK and allies, and why it is not the answer for peace. To read it, simply click to my Column page. Random Ramblings: Mitt & Barack could do I’m A Celebrity if they lose. Vote now! Right, Barack, look. I know it’s an election, dude, but listen, if you don’t win, if that bloke Romney packs his binder full of voting women and takes it all the way to the White House, then fear not! I have a solution. Well, not me personally, but, bizarrely, a British MP does. Namely, a certain Nadine Dorries. For it has been announced today that Nadine is to enter – indeed she’s in Australia NOW (watch out) – TV’s I’m A Celebrity Get Me Out Of Here. She will be the first serving – that’s right, serving – British Member of Parliament to go on the programme. You know those moments when your jaw hits the floor? Yes, Nadine Dorries, the self-styled ‘Bridget Jones of Westminster’ (her words, not mine) is currently on route to jungle. She will be spending two weeks of her time starring on a TV programme, eating scorpions and kangaroo’s wotsits, as opposed to serving the people in her Mid-Bedfordshire constituency. But wait! Worried that this woman may be shirking her parliamentary responsibilities? Concerned that she’s having a right old sunny jolly while back in the UK we are struggling to pay the rising fuel bills in the winter? Well, fear no more because the woman is there to raise issues. Honest. Nadine has been quoted saying that she is taking part in I’m a Celebrity so she can ‘raise awareness about issues such as reducing abortion time from 24 to 20 weeks.’ Oh, thank you, Nadine! Thank you so much for trying to single handily reduce women’s rights AND make out like we’re all free-loading, lazy Bridgets who love the media limelight and be damned with work. Who needs women’s equality anyway? Sooo overrated. Anyway, right, if you don’t work you can go on benefits, yeah? Oh, wait. No. The coalition government are cutting welfare…Oh well. So, you see Barack, or (please God) Mitt? If you lose the USA elections today, you have no worries. A fall back plan is in place, trail-blazed by Nadine/Bridget! You don’t have to concern your selves talking about creating a fairer US healthcare system or wax lyrical on reducing unemployment rates. Nope. You now only have to shout one thing and one thing alone to be a successful politician – I’m a Celebrity, Get Me Out Of Here! God help us all. My Citizen & Echo column: Oi! Mitt! No binders in the US elections, please. I’ve stuck the column on my Citizen column page here so you can have a read. You can also catch me each week on the Citizen and Echo Weekend magazine website. There’s lots of other lovely weekend stuff on there, too. 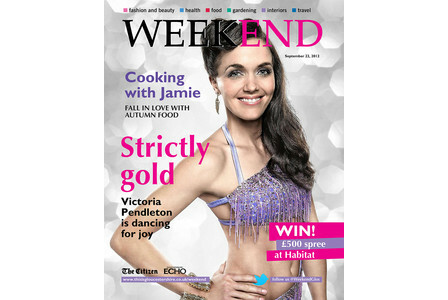 The Citizen & Echo Weekend magazine comes out every Saturday. Binder or no binder? What’s your take? Is sexism in the workplace still rife? Let me know. 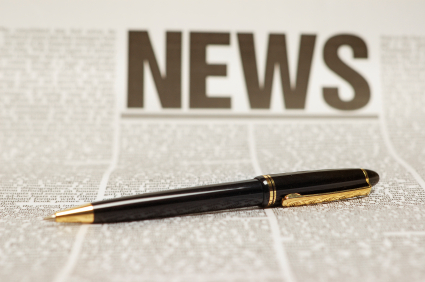 Media Monday: Has Waterstones sold its soul to Amazon? Isn’t it funny how things change? This morning, I was all set to write this post about the fact that Prime Minister David Cameron’s new biography reveals how he likes to ‘chillax’ (his words, not mine) by singing some karaoke, calling his tennis machine the “Clegger” (I kid you not) and kicking back to watch a DVD box set. After I’d sewed my sides back up from laughing, making yet another mental note to ALWAYS WORK HARDER, I was greeted with the bizarre news via The Guardian that the UK bookstore chain, Waterstones, is hooking up with its arch nemesis Amazon to sell Kindles in all its Waterstones stores. Now, look, call me a fool here, but isn’t Waterstones flogging Amazon gear a bit like Tesco selling Sainsbury’s own brand? Or, to put it in book terms, like Harry Potter asking Voldemort to give him a foot rub whilst reading a copy of The Worst Witch? Either way, aside from looking strange, it’s just not going to work. At this juncture, I have to point out that I am not normally one for the negative, and like Obama himself, I like to think, ‘Yes we can! ‘when approaching most issues (for example, ‘Can we eat this chocolate? Yes we can!’ ‘Can we finish this novel? Yes we can!’ ‘Can we ignore the icky feeling we get when David Cameron says Chillax? Yes we…Actually, no, we can’t.’) I can see what Waterstones are trying to do by linking with Amazon, hoping, as I am sure they are, that it will help sales and drive footfall. But the thing is, climb into bed with a lion and, sooner or later, you’re going to get bitten. If Waterstones was looking at this with more rational, unfettered minds (have you seen the slump in paper book sales lately?) they would admit that they were late to react to the emergence of the e-reader and were similarly uninspired to proactively adapt and develop as the market rapidly changed. But wait, I hear some say. The Kindle is popular, speedy! Won’t that help poor old Waterstones? Well, to be honest, I don’t think it will. You see, one of the great advantages about a Kindle is that you can have instant access to books, where ever you are, what ever the time and what ever your attire (shops don’t like you turning up in your PJs. So I hear.) And so, if you do chose to make a specific trip to Waterstones, surely that negates the need for a Kindle, because you are in a shop! Ready to buy! Wearing clothes! A book, you think, I just want a paper book! I want to browse, feel the page, soak up the atmosphere. That’s what you are there for. If you wanted an e-book, you’d get one from your sofa with your feet up and the TV on.